At least one night a week we eat Mexican food. Three. THREE. No more than three. And because of that, I am always looking for ways to spice up family taco night with new flavors, new toppings, and new ideas for my kids to actually eat what I put in front of them. Hey, they may not clean their plates because their palettes are about as broad as a slugs, but my husband and I- we are always up for more! 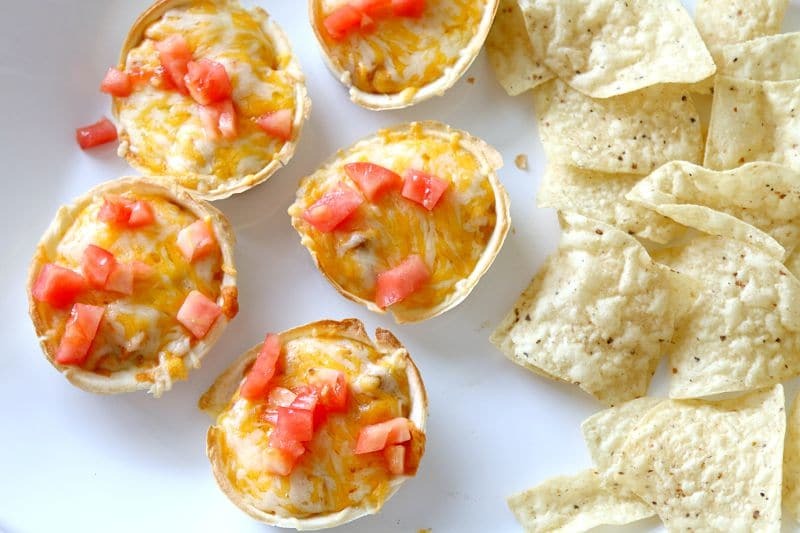 Which is why I wanted to share with you this awesome Mexican Cream Cheese and Bean Dip recipe that can easily be served in individual cups using Old El Pasos New Soft Tortilla Mini Taco Boats for member of your family or even spiced up for a ‘grab it and go’ party tray during Football this year! 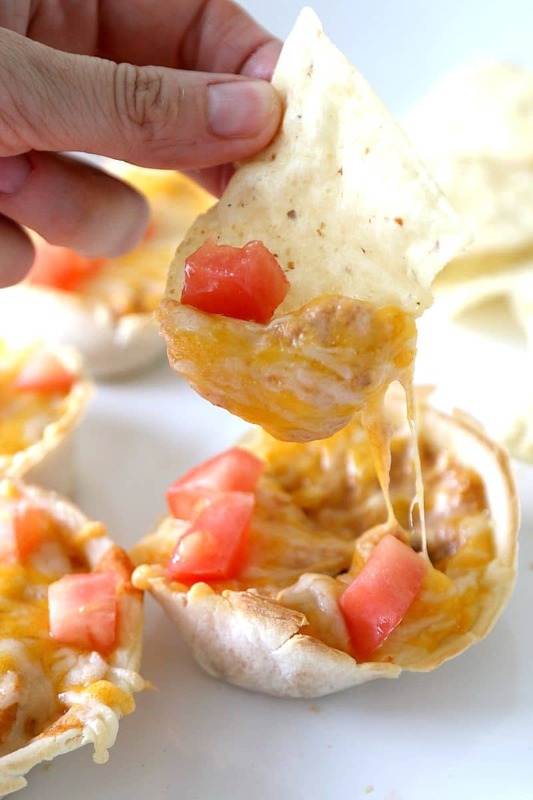 If you love this, you may also really love this easy taco dip recipe! While waiting for oven to cook, combine your sour cream, beans, taco seasoning, salsa and creamed cheese. Once mixed all the way, pour into a glass pan and bake for 20 minutes. Carefully remove from oven and stir. This makes sure all your creamed cheese is melted and mixed. Place back in oven (on a tray) for 5 minutes. 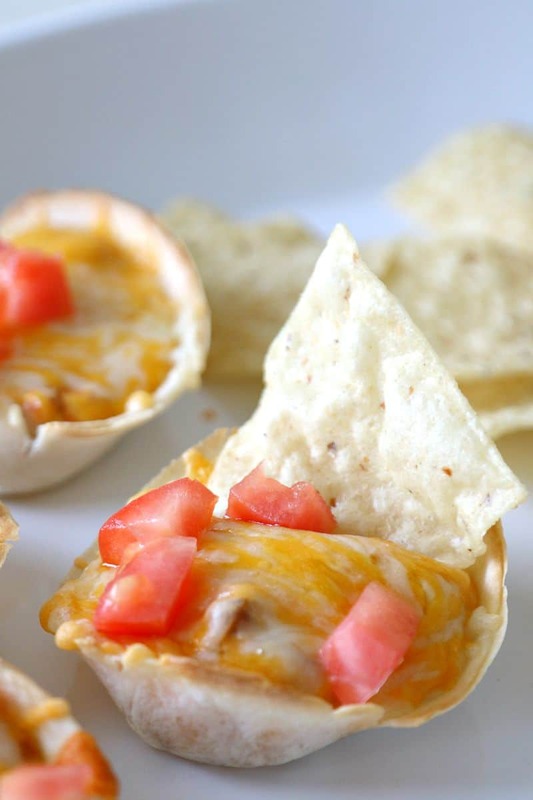 What I love about putting the dip in the mini Sof Tortilla boats is NO DOUBLE DIPPING! Yes, the whole double dipping situation has been solved, which means each person gets their own serving size and you get a saliva-free chip- especially important when you have a 4 year old. These also make for great individual shares of dips at a party, making it easy for your guests to grab and place right on their plate. Once the dip is gone, you can eat the “bowl” so no mess! Of course these also make for super fun family taco nights by filling with your favorite taco recipe and munching down. Show (or tell) us what taco night looks like at your house for a chance to win a year supply of taco boats! Now that you have seen my recipe, we want to see yours!